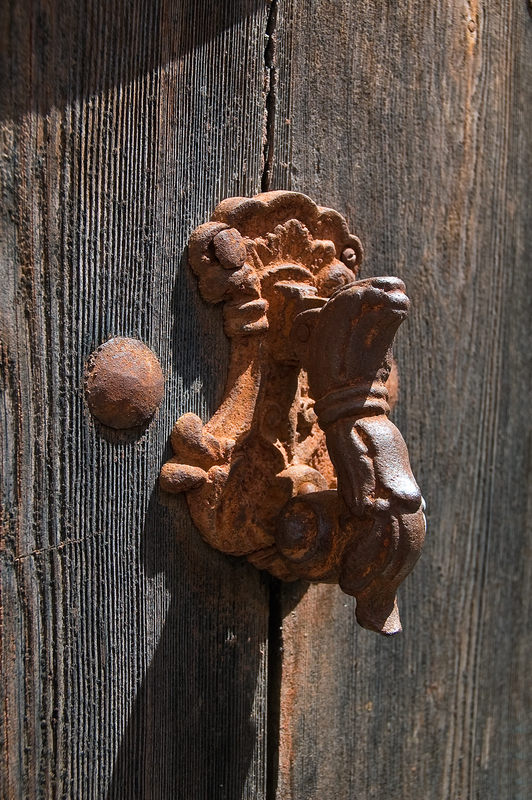 This beautiful rusty door knocker I captured at Torrelles de Llobregat near Barcelona although it could have been in Barcelona city perfectly as here we have many. The knocker represents some kind of mythological being perhaps. What do you make of it? I think I kind of like old door knockers and maybe I collect them in the future, the images of course. I remember a couple of posts in Barcelona Photoblog that you should check too: Vandalized Door Knocker or Modern Art? and Knocker on Chocolate Color Door at El Raval Quarter, Barcelona. Or maybe you prefer a list of famous door knockers.